Is it snowing in Leysin ?¡Gracias! 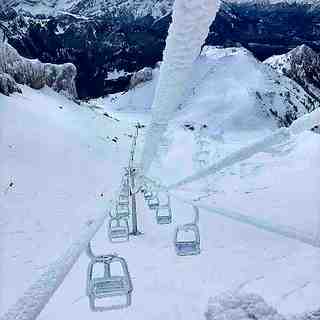 Leysin in Switzerland (in the Lake Geneva Region region) is a large resort with 14 lifts (7 chair lifts, 4 surface lifts) that offers skiers an incredible 1050 metres (3445 feet) of vertical descent. 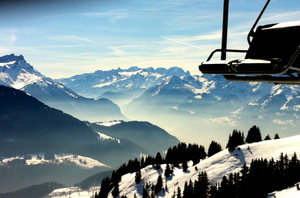 Leysin has 29 pistes with a total length of 60 kilometers (38 miles). 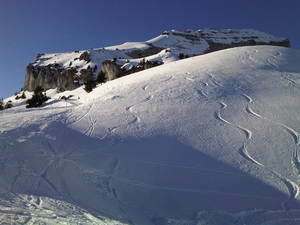 Leysin is best suited to beginner skiers and snowboarders but there is some terrain for both expert and intermediates. 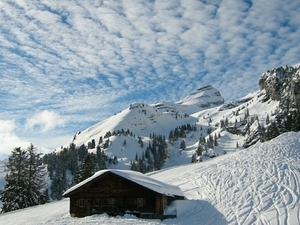 There are 10 kilometers (6 miles) of cross country ski trails at Leysin. For snowboarders, there is a terrain park and a half pipe. 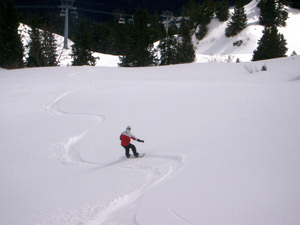 A small proportion of the pistes at Leysin are covered by snowmaking. The closest airport is at Geneva but the transfer time is 2 hours. The nearest train station to Leysin is at Aigle. There is accommodation located close to the pistes but we would welcome additional information about any hotels or chalets in Leysin. Just returned from a week of ski holiday in Leysin, from Dec 28 to Jan 4, this is our first time in Leysin, but we have being skiing across the other side of the valley in Villars for many years. Compared with Villars, Leysin seem to attract fewer skiers, which is fine with us; less crowded at the lift chair waiting lines. In general, the ski area is okay. However, the cable car access is not very user friendly. 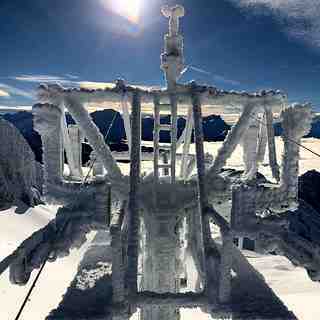 You need to climb two levels of stairs to get to the cable car; a pain in the neck when you have the ski boots on. For the slope, in general, is quite okay when there is snow. We are fortunate because most slope are not open until Dec 28 2013 due to lack of snow.